We're not talking about breaking the current grid. That was maybe not the best way to state it.. We are talking about adding dividers within the current grid for claiming. Much like you have right here but smaller. A full map overlay would never line up so perfectly as this picture. So a smaller grid but just like this and you claim sections of it. Or a group could together claim enough sections to have a block just like this. In most games yes, but not in real estate. And this game is already on a square grid system. So, I'd just add a square grid within the current grid. This idea would be second to cutting each island by hand, but that would take a lot of work. Slicing the main grid into grids was a suggestion in the forum prior to the current system being released. It would not be perfect and some grids would be less usable than others but you would not have over laps. I'd bet at some point we end up there. One only needed to read the forum over the last month or two to know this was going to happen. I logged in the day the EU server came up, set my home server to a lawless and have yet to step foot on a claimed/claimable island. The forum was of posts about slavery, no landlords or just make a few small fixes to the old system. The only way they will get players in to the claim system is to add a poison pill to lawless. An act that I'm sure will backfire on them. This dev team really needs someone that has a better understanding of human nature / their player base. At some point this dev team needs to understand that they keep coming up with ideas that people are not interested in. Many people love this game and yet hate the direction it keeps heading. Just watch, soon you will see some even worse ideas to force people to join that system, that they want no part of. It seems to me that most people made it clear they did not like the new claim system before it came out. It was clear people didn't want landlords. The devs went that way anyway. Time after time I am left with a total loss of understanding of the devs plans or direction in Atlas. This sounds just like the FOY system. Most don't like it but we will force you to play the game the way we want you to play it! If not, we will make your avatar look like crap. Live with that! Rather then spending your time trying to screw over those that live on lawless, spend it stating how you don't like the current system. People didn't want it before it was released and people don't like it now that it has been released. Its too bad that this dev team beats bad ideas like a dead horse, trying to make it run. Well, now I'm on EU. Already have a base, a few tames and a brig. I have no plans at this point to go to NA once it opens. Downside, I don't understand 2/3 of the chat... wait, is that really a downside? Most the Euros seem just fine to me. I have tamed a few Elephants since the restart. It does seem harder now. After taming not going well I made changes. You or at least I, take much more of a beating now, so armor up. Now it's more about access to the right area and timing. My tips... Old style traps with door frames now block the sweet spot too often. Being behind the right front leg does not work if the trap blocks the sweet spot. The sweet spot may be blocked even if you don't think it is. If you can't find the sweet spot, release asap and continue. Watch the "bola" timer, not the feed timer (count). Don't go in early and risk another hit if you have low HP. If taking too much damage, add time between feed cycles to heal. Not so long it resets. It's better to take longer to tame than to fail. Learn the hit range. Run in and feed, feeding should block the first hit (sometimes). Get out. Place a bed and supply locker next to your trap. Plan to use more supplies than before. It's a puzzle, figure it out. What's creepy? Those sweet little turtles, that growl like a giant komodo dragon about to kill you. Yeah, does anywhere on earth have bad weather this often. And the fog looks terrible on my computer. I have not seen any cobras either in PVP or PVE test servers. M8. Might just be me. If they are gone... good riddance. But I'd guess they are turned off just for testing. PVE test server is up. It's looks the same, 4 days to log on. As of now, I expect to move back to lawless. They clearly are not listening to anyone about PVE. Why would they listen to you. I like PVP servers in most games, not this one. I don't think this one is ready. After the restart I'll be on PVE, if around here at all. I've never seen a game managed like this before. I question if the servers will even still be up in 6 months. 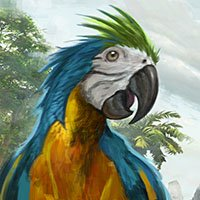 PVE An extended wait for changes we don't want. They say they are making changes base on our feedback but this is not the feed back I read. If one thing stood out in the PVE feedback, it was we don't want a one flag per island system. We can only hope for a statement from the devs on future wipes. Until then, I don't think anyone really knows. I think many will be slow to invest the same amount of time without a better understanding of this issue.